I was in a mood for a seafood hot pot. 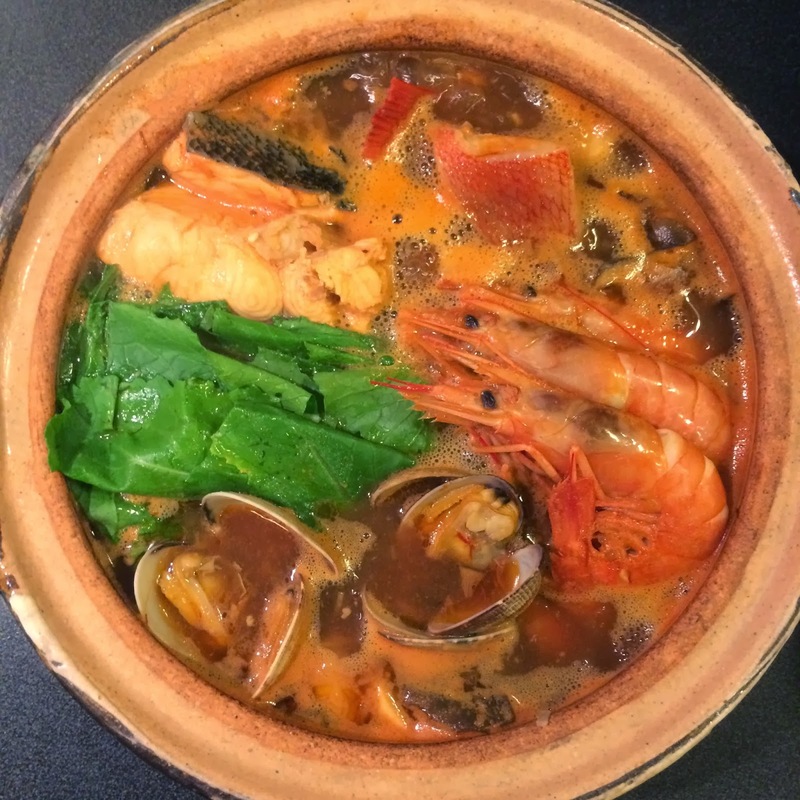 So, I got salmon, kinki (rock fish), head-on shrimp, and clams to cook in my classic-style donabe, "Hakeme". 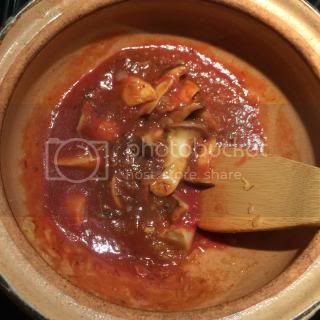 I made Japanese-style bouillabaisse with the combination of miso, saffron, and tomato sauce. The process is quite simple. I sautéed onion, ginger, garlic, and saffron first, before the eringi mushrooms were added. 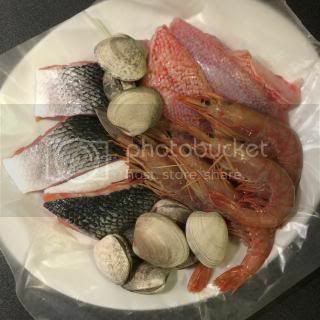 Sake, tomato sauce, and kombu + fumet de poisson were added. Once the broth started simmering, seafood and turnip were added and cooked until done. Miso was stirred in to finish. Season the fish with salt. Set aside. Pat dry the moisture released by the salt. 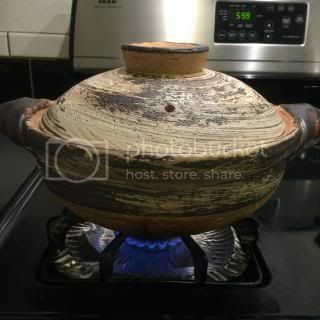 In the donabe, heat the olive oil and sauté the onion, garlic, and ginger over medium-low heat. Once the onion is very soft, add the saffron and continue to sauté for a couple of minutes. Add the eringi mushrooms and sauté for additional couple of minutes. Deglaze with sake. Add the tomato sauce, and kombu dashi. Add 2 sticks of fumet de poisson powder (optional). Bring to a boil, and reduce to simmer. Add the kabu wedges and fish. Cover and simmer for a few minutes. Add the shrimp and clams. Continue to simmer until everything is cooked through. 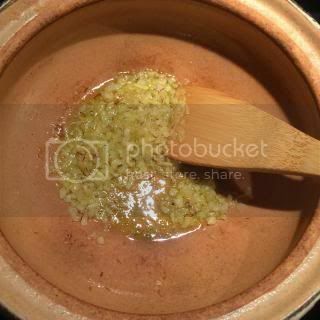 Add the miso and dissolve in the broth. Adjust the seasoning with salt and pepper, if necessary. With the leftover broth, as a "shi-me" (finishing course), I made "ojiya" (quick soupy rice porridge) by adding the donabe rice. It was super delicious.